We are very pleased to announce the Media Squares international seminar and screening event, to be held at De Balie, centre for culture and politics in Amsterdam, on Friday September 30, 2011. This event is part of our on-going research efforts around the Tactical Media Files documentation resource, and provides an opportunity for first-hand exchange of ideas, opinions, insights and disagreements. Come join us on the 30th! Social protest has become almost inseparably linked to a plethora of media images and messages distributed via internet, mobile phones, social media, internet video platforms and of course traditional media outlets such as newspapers, radio and television. 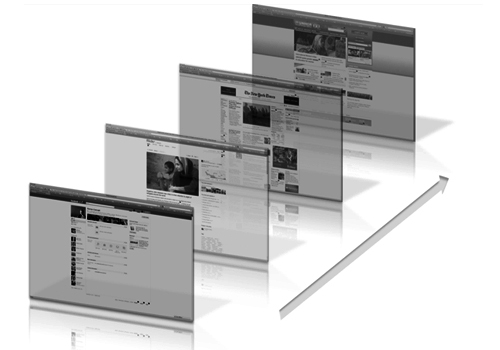 A popular category to have emerged recently is the ‘twitter-revolution’. In almost all cases (Iran, Tunisia, Egypt, London) the role of the platform turned out to be less than essential in retrospect. Protests mostly manifested on the streets and particularly the public squares (‘Take the Square’). Deeply rooted blogger-networks did however play a mayor role, preparing the protests that have now been dubbed the “Arabian Spring’. And internet played a crucial role in the organisation and co-ordination of the European ‘anti-austerity’ protests (Spain, Greece, UK, Italy). This international seminar brings together theorists, artists, designers, activists and media specialists to develop a critical analysis of the new forms of social protest and their media dimension. The program is divided into two blocks. The first block focuses on an in-depth analysis of the evolving WikiLeaks-saga, while the second block will examine the remarkable string of protests in the Mediterranean region. These discussions will be interrupted at times by startling artistic interventions in current social and political debates. Participants in the program are: Daniel van der Velden (Metahaven), Geert Lovink (Institute of Network Cultures, INC), Aalam Wassef (Ahmad Sherif), Omar Robert Hamilton (Mosireen / Tahrir Cinema, Cairo) Nat Muller (independent curator), David Garcia (Chelsea College), Jodi Dean (Hobart and William Smith Colleges / Blog Theory), X.net & Democracia Real Ya – Barcelona, Gahlia Elsrakbi (Foundland), Nadia Plesner (Darfurnica), Florian Conradi and Michelle Christensen (stateless plug-in), Sami Ben Gharbia (Global Voices – tbc). 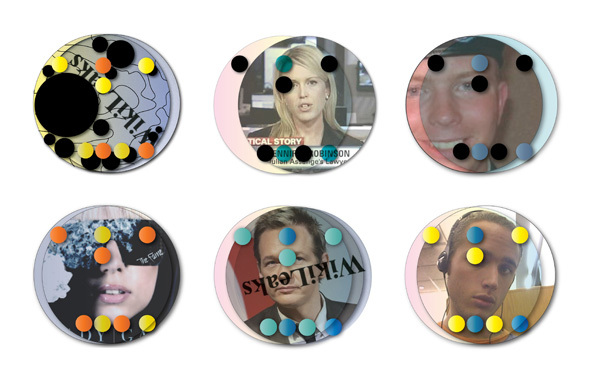 The seminar is part of an on-going research into Tactical Media, the fusion of art, media, politics and cultural activism, centred around the “Tactical Media Files”, an on-line documentation resource of Tactical Media practices world-wide. 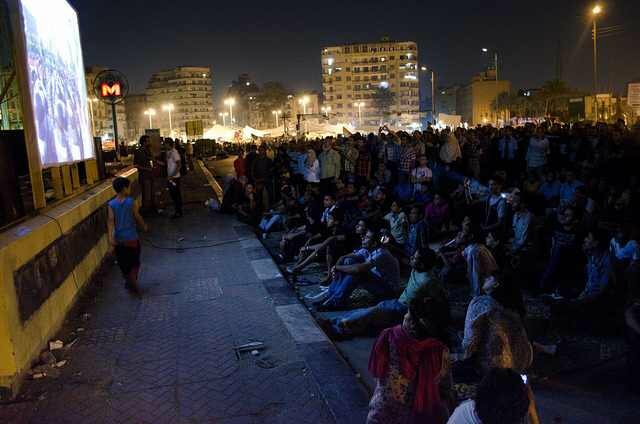 In the midst of the Egyptian uprising Tahrir Cinema was started on July 14th by a group of film makers and artists, organising open air public screenings on Tahrir Square, of films that had something to do with ‘the Revolution’. Curation of the films was largely open source. The organisers asked people on the square for their footage, or what they wanted to see up on the screen – “a screen to serve the square”. Out of this frenzy of media-activity Mosireen emerged, a new independent media centre in Cairo. 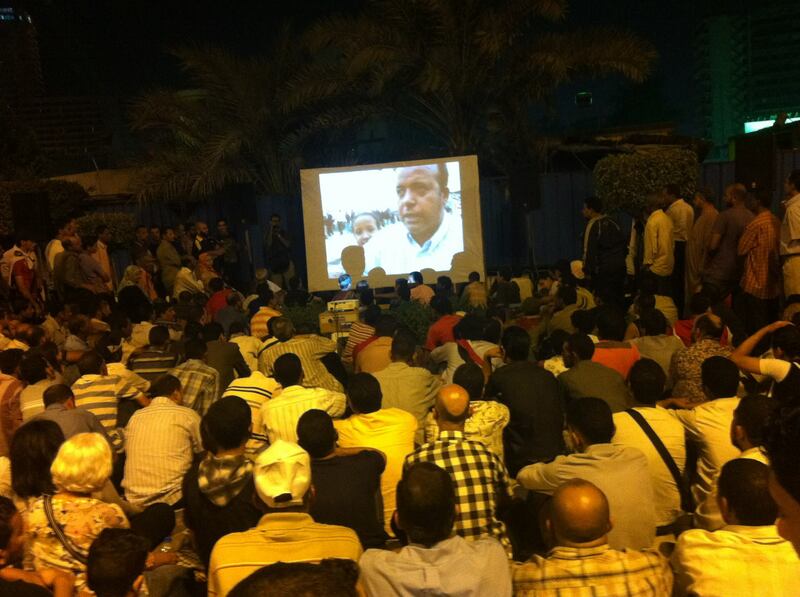 During the protests Mosireen supported people on Tahrir Square to edit their materials, created DVDs with raw footage and clips, and set up an archive of the Revolution. This special screening program organised in the frame of “Media Squares” program at De Balie will present a selection of videos and films from Tahrir Cinema in collaboration with Mosireen, Cairo. The screening will be hosted and narrated by Omar Robert Hamilton, one of the initiators of Tahrir Cinema, and Nat Muller, independent curator based in The Netherlands. This entry was posted in media criticism, Tactical Camping and tagged street protest, tactical camping, tactical media, Tahrir, take the square!, WikiLeaks. Bookmark the permalink.